DENVER (Reuters) – Investigators in Colorado searched on Monday for a man suspected of hurling a ?biblical text? inside a mosque after smashing windows and a glass door of the Islamic center and overturning furniture inside, police said. The Fort Collins Police Department said in a statement that the weekend incident was being investigated as a bias-motivated crime. 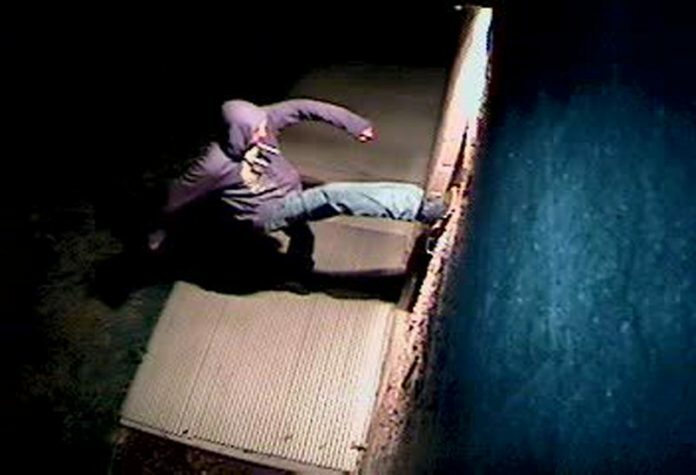 Police said the suspect, in his late teens or early 20s, carried out the vandalism at the Fort Collins Islamic Center around 4 a.m. on Sunday. Authorities released a brief video clip captured from a surveillance camera outside the center that showed the man kicking an exterior door. Authorities appealed for the public?s assistance in solving the case. Police Chief John Hutto said the vandalism had a ?very real impact? on the city?s Muslim community. ?The criminal act against their sacred space is unacceptable,? Hutto said. ?Right now, we need our community?s help identifying the suspect so he can be held accountable.? Fort Collins is a city of about 160,000 people about 60 miles (96 km) north of Denver and is home to the flagship campus of Colorado State University. The Washington-based Council on American-Islamic Relations, or CAIR, called for a federal hate-crimes investigation into the incident. ?Because of the use of a Bible in the vandalism, we would urge state and federal law enforcement authorities to investigate the possibility of a bias motive for this attack on a house of worship,? a spokesman for the Muslim advocacy group said in a statement. A spokeswoman for the Federal Bureau of Investigation?s field office in Denver said local police were ?the primary responding agency? at this point.